For many people, cities are becoming the place to live, while sprawling suburbs are losing their appeal. In her new book, "The End of the Suburbs: Where the American Dream is Moving," Leigh Gallagher, assistant managing editor of Fortune, says millennials — the next generation of home buyers — are abandoning their suburban roots and choosing to raise their own families in the city. Along with this shift, suburbs are also experiencing an increase in crime and poverty. Gallagher joins Here & Now's Jeremy Hobson to discuss her research. When I set out to write a book in the spring of 2011, I originally planned to explore the future of our economy and how the aftereffects of the financial crisis would bring permanent changes to various aspects of our lives. But the more I researched, the more I discovered that the most dramatic shift involved where and how we choose to live—and it wasn’t a result of the Great Recession at all. Rather, the housing crisis only concealed something deeper and more profound happening to what we have come to know as American suburbia. Simply speaking, more and more Americans don’t want to live there anymore. 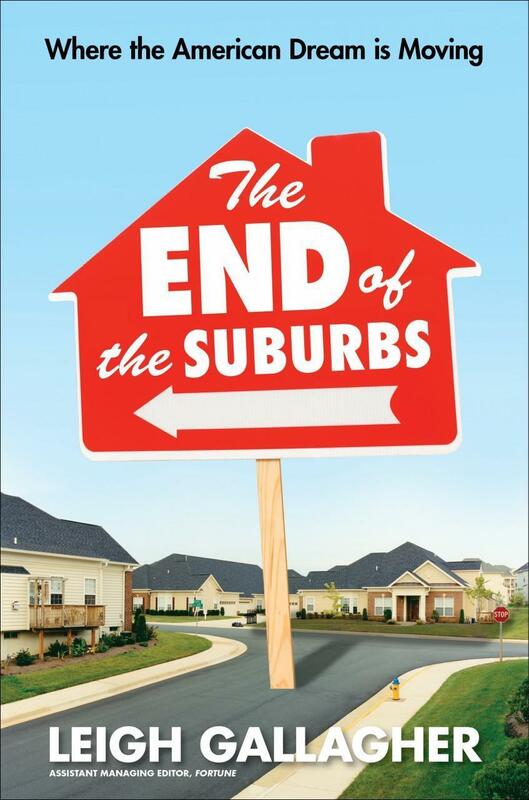 The reasons are varied, but several disparate factors all point to a decrease in demand for traditional suburban living: many Americans are tiring of the physical aspect of the suburbs, the design of which has changed dramatically over the years to gradually spread people farther and farther apart from one another and the things they like to do, making them increasingly reliant on their cars and, increasingly, on Thelma and Louise –length commutes. Big demographic shifts are seeing our population grow older, younger, and more diverse seemingly all at once, while powerful social trends are shrinking and transforming the American nuclear family, long the dominant driver of suburbia. An epic financial crisis coupled with the rising cost of energy has made punishing commutes also unaffordable, while a new-found hyperawareness of environmental issues has shaken up and re-ordered our priorities in ways that stand in direct conflict to the suburban way of life. This has all been happening for years, but it’s now being backed up by data. The rate of suburban population growth has outpaced that of urban centers in every decade since the invention of the automobile, but in 2011, for the first time in a hundred years, that trend reversed. Construction permit data shows that in several cities, building activity that was once concentrated in the suburban fringe has now shifted primarily to cities, or what planners call the “urban core.” At the same time, demand for the large, single-family homes that characterize the suburbs is dwindling, and big suburban home builders like Toll Brothers are saying their best markets are now cities. Many of the builders present at the NAHB show in Orlando know this and have started changing the way they do business. Like Ralston, they’ve started breaking their own bones by tearing up old floor plans, adjusting land acquisition strategies, and shifting their focus to include smaller houses and more urban developments. “Gone are the master bathrooms you can land planes in,” said Boyce Thompson, the editorial director of the Builder group of magazines at the housing research and publishing firm Hanley Wood, during a presentation on market trends. Many of the attendees took part in educational sessions on “multifamily” housing units, design strategies for a shifting market, and the changing preferences of the new home buyer. During one such session, the audience watched an ad for builder Shea Homes’ new “Spaces” line in which pleasant-looking suburbanites talked about what they wanted in their new homes. “A typical home in the suburbs for me?” one house-wife asks. “It’s just not the way things are done anymore.” The 2012 annual Builder magazine “concept home,” at the show, always an important barometer of where housing trends are headed, was instead a series of three different homes targeted to three different generations, all featuring smaller—or “right-sized,” since “small” is still a word that goes unsaid by this group—floor plans and more efficient use of space. “Change is the only path to tomorrow,” Larry Swank, chairman of the NAHB’s conventions and meetings committee and a leading builder in Indiana, advised an audience in a breakout session. Not every home builder is hurting. Floating around at the NAHB show were people like John McLinden, a longtime builder in Chicago who had spent the past few years developing a kind of replacement for the conventional subdivision: a neighborhood of compact, upscale bungalows steps from the train station in the middle of Libertyville, Illinois. His sales were going gangbusters. 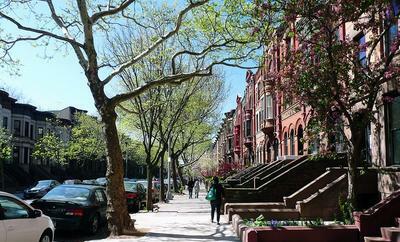 “Nothing exists like this— certainly not in the suburbs,” he told me eagerly. “And we did it in the midst of a housing crisis.” Indeed, one of the biggest trends in home building right now is remaking our suburbs to look more, well, urban. Like McLinden, developers in suburbs from Morristown, New Jersey, to Leesburg, Virginia, to Lakewood, Colorado, are rebuilding their downtowns as urbanized centers with streets that combine stores, restaurants, and apartments, while nearly every home builder now has a town house or condo division. Even Toll Brothers, the Horsham, Pennsylvania–based home builder that rose to fame on the wings of the suburban mega-home, says what it calls its “suburban move-up” houses are now roughly 50 percent of what it builds and sells, down from 70 to 80 percent just a few years ago. Leigh Gallagher, author of "The End of the Suburbs: Where the American Dream is Moving," and assistant managing editor of Fortune. She tweets @leighgallagher.